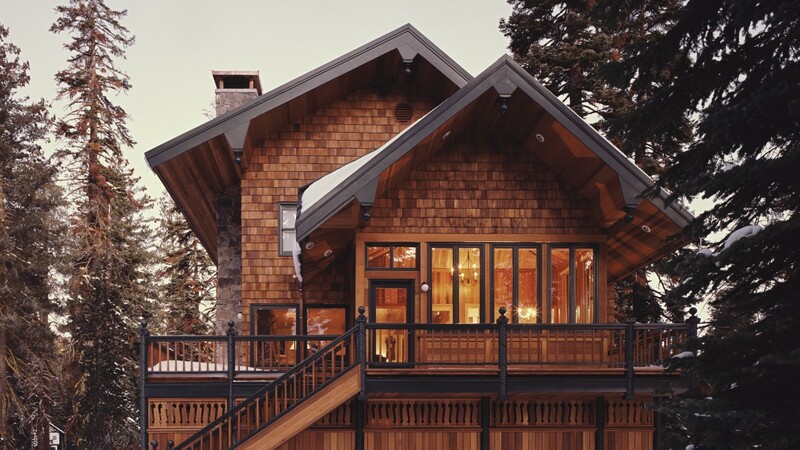 Practical needs as well as the owner’s aesthetic desire drove the make-over of this Tahoe ski house. Downey woodpeckers were destroying the exterior siding and the perimeter insulation was failing in the winter. The shed roof was too shallow to bear heavy snow loads, and the owner was seeking a more traditional “Tahoe-style” exterior. The original house was designed for the owner’s father by William Wurster in the mid-1950s. Wurster was an early proponent of Bay Area modern architecture and eschewed ornament typical of Tyrolean vernacular architecture – just what the owner wanted. The result was an over-clad of the original form with a definite nod to the latter style. Cedar shingles were used so that woodpecker damage could be managed one shingle at a time. A new gabled, metal clad roof was created using the existing shed roof as a tension tie. The original roof was heavily insulated and the cavity between the new and old surfaces was vented to create a “cold roof”. A cold roof prevents the roofing from sliding off when snow melt from interior heat later turns into ice. 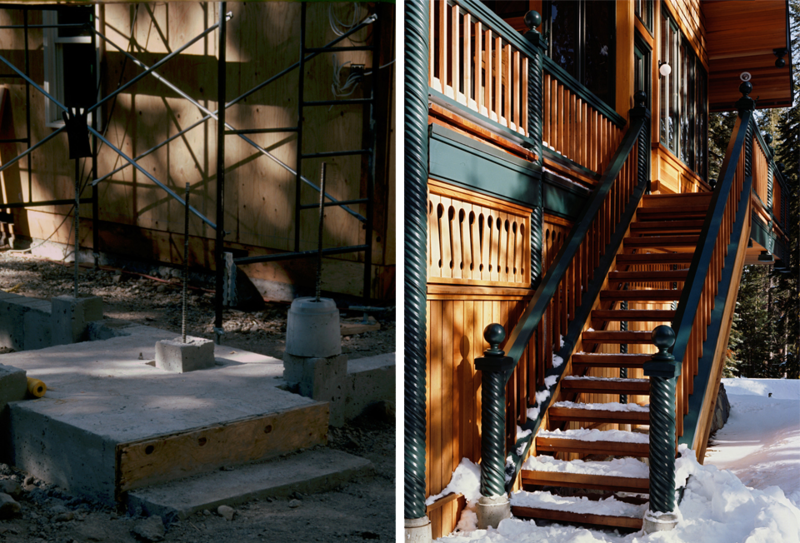 A new vestibule was added on the north side of the structure to buffer blustery winds from the nearby ski slope. As it turned out, the original vertical redwood siding was more attractive to the birds than shingles – the problem disappeared after construction was completed.